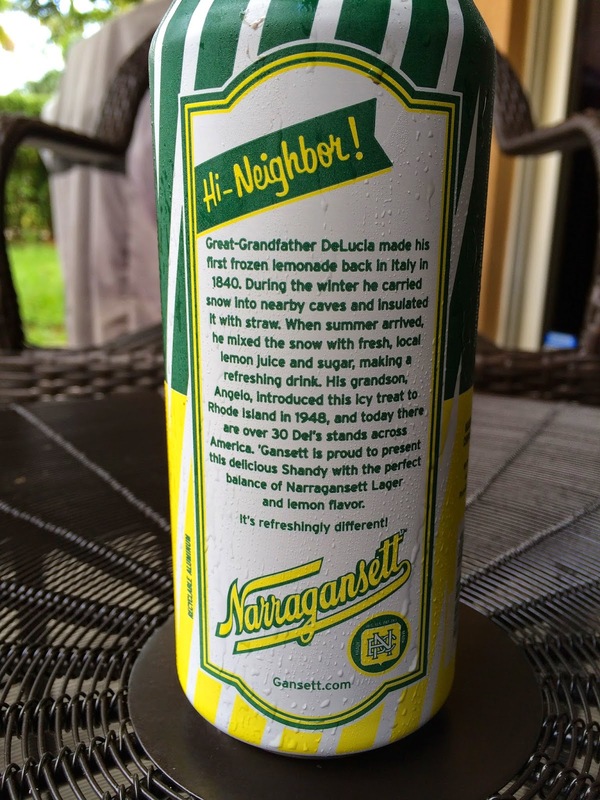 Narragansett Del's Shandy? Heck yeah! Let's give this a shot. Del's comes in a green and yellow pounder can, and "It's Refreshingly Different." The back of the can tells the story of the origin of the name and the beverage. Del's is a frozen lemonade treat created by one of the family back in the 1800s. It's now sold in 30 stands across the US. 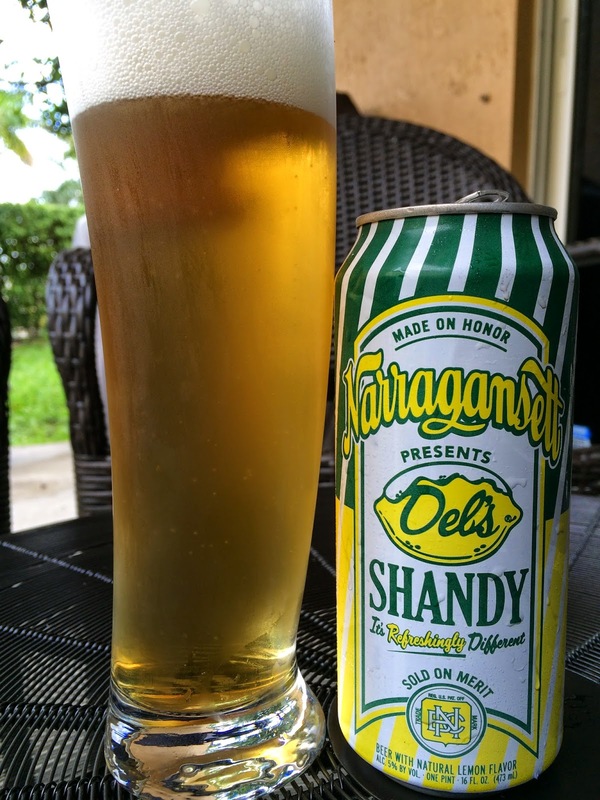 This shandy is made from that lemonade and Narragansett Lager. 5% alcohol. I poured it into my new "crooked" Gordon Biersch glass, which came with a cool beer I still need to try. I thought the size would accommodate all 16 ounces of this shandy. Wrong! Del's has a big head! Sharp lemony aroma, not quite lemon drop candy but there. And a sweet, lightly spicy backdrop on the nose. Tasty! Lemon meets sweet grainy malt and some definite pilsner character. Toast, light fruitiness. The lemon is a little muted, though it reappears at the finish and lingers on the palate. Pretty simple, easily refreshing, and great after that afternoon run (in South Florida). On the sweet end of balanced, and I'd have preferred a little sharper lemony action and a more prickly carbonation presence. But I could easily drink a handful more, and I have big hands!